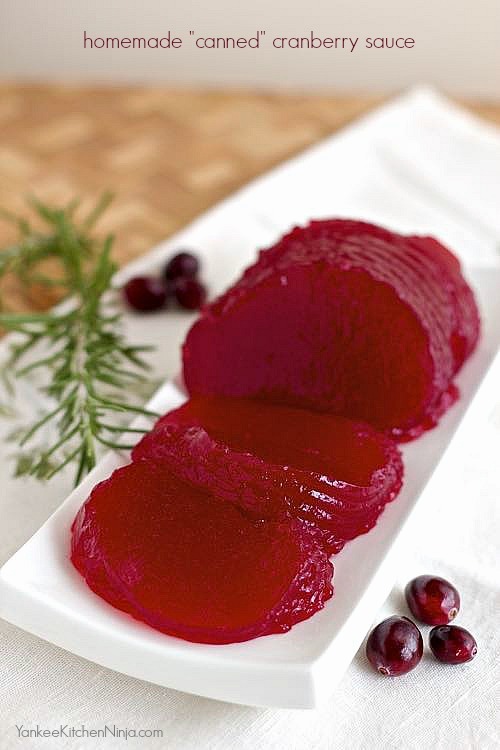 Add some kitsch to Thanksgiving this year with homemade "canned" cranberry sauce using an upcycled empty can for the mold. My sister and I have this thing. So, anyway, one of our things is canned cranberry sauce at Thanksgiving. My first "adult" Thanksgiving was when I was in graduate school. I was attending school in the South, too far away from my parents' home in New England for me to afford to make a quick trip home for the Thanksgiving holiday. And my sister was living not that far away, so we decided to throw our own little Thanksgiving dinner for two. Even though I had almost no idea how to cook anything and she was only slightly more talented, we went all out in a little apartment kitchen: turkey, stuffing, green beans and cranberry sauce. In all fairness, let's clarify. We roasted a turkey (poorly), steamed some green beans, mixed up a box of Stove Top stuffing and opened a can of jellied cranberry sauce. But we were both in agreement that the cranberry sauce was a must-have. You know, because of the the "ssssllluuuupp" noise it makes when released from the can. And, frankly, because it's freakin' shaped like the can. 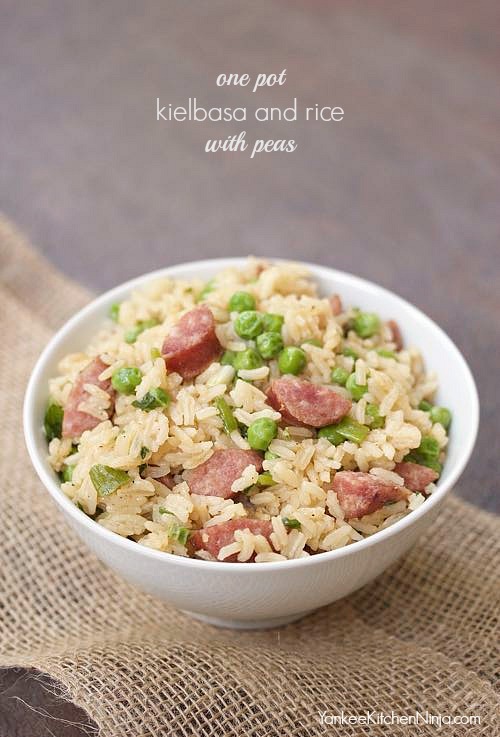 This easy one pot kielbasa and rice with peas is a family friendly weeknight dinner that's ready in less than 30 minutes. I've pretty much got the mother of all them this week. This one-pot dinner made with kielbasa, rice and peas is so crazy easy and so crazy yummy that you will quickly make it a weekly regular, I can almost promise. Plus, it's a complete meal, made in less than 30 minutes in one skillet -- what's not to love?